There can be no better way to enjoy the turquoise lagoon and deep-blue ocean waters of the Maldives than cruising on a private yacht. And now Six Senses Laamu makes this a reality with the latest addition to its experiences offerings – a day on the Sense of Freedom. Guests can enjoy this beautiful yacht all to themselves for a cruise around the atoll, a picnic on a deserted island, snorkeling at Blue Lagoon, a visit to the sandbank for sunset cocktails or just enjoy the yacht with all its luxury amenities. This is truly an out of the ordinary experience equally suitable for those wanting a romantic escape or a family getaway. Sense of Freedom is a 37-foot (12.80 meter) Riviera 37 Flybridge; a luxury yacht with a large cockpit and two cabins able to accommodate six guests plus crew. The cabins include a master bedroom, an adjacent cabin with bunk beds and bathroom facilities inclusive of a shower. It also features a living room area and a small galley. The big fly bridge is designed to offer a view from the top, for those who wish to feel the ocean breeze while cruising. The resort’s experienced captain and his crew invite guests to embark on an extraordinary adventure that starts in the late morning and finishes well past sunset with a dinner on the beach. As for dinner, the menu is subject to guests’ catch. 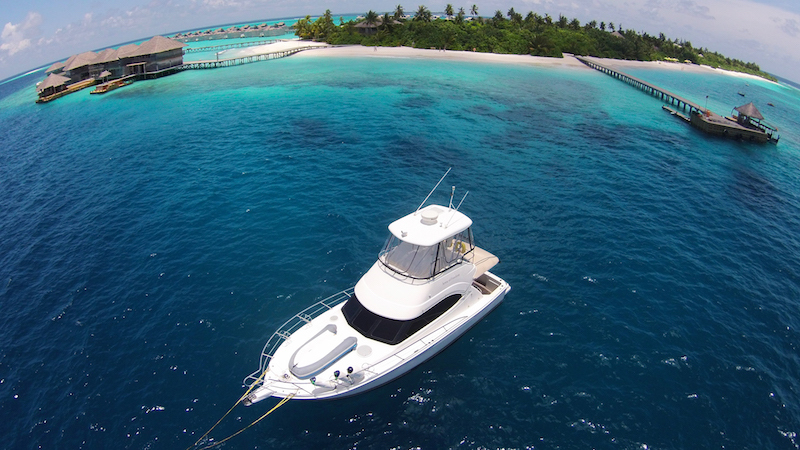 The crew will provide poles and line and will show the traditional Maldivian way of fishing. 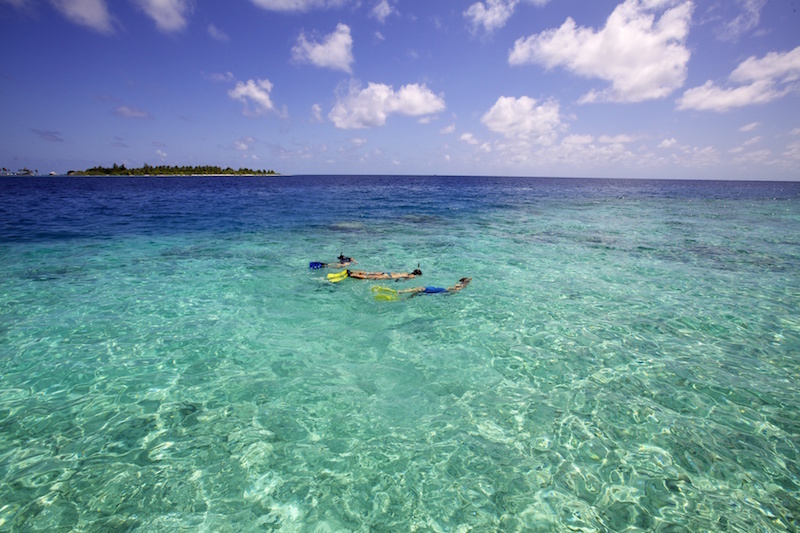 Approaching the deserted island, guests can jump off the yacht and snorkel around the colorful reef or simply enjoy its sandy beach. A picnic will be prepared on the island with their menu of choice, along with a bottle of Champagne and fresh coconuts. For those who wish to sit back and relax under the shade of the coconut trees, sun-loungers are provided. In the late afternoon the Sense of Freedom will make its way back to the resort, making one last stop on the private sandbank just before the sun sets. Bartenders wait with special signature sunset cocktails. The evening ends with a private barbecue on the beach, where chefs will cook the catch of the day! In the unlikely event that guests were unable to catch a fish, they can count on the chefs to ensure that a freshly caught reef fish is available.